The image above is from the National Postal Museum in Washington, DC. Sure, mail is dead in some ways. These days it isn’t rare at all to see even a refugee carrying around an iPhone and texting with members of their new communities here in the States. But mail still holds a certain nostalgic power for some of us, and this statement above the postal museum may be the reason. Mail is a very powerful thing. For the prisoner wrongly accused or the slave trafficked to a foreign country against their will, take away their food and you have a starving person. Take away their communication with others and you have a broken person. Slum-dwellers and refugees waiting for resettlement do not usually get to take advantage of infrastructure like postal services. They have to stick together, because “scattered families” in their cases means vulnerability and isolation. Texting and tweeting and liking and poking and other silly online options are all well and good, but ultimately they are just quicker, and sometimes more superficial, advancements of that little envelope with a little stamp, filled to the brim inside with words of celebration or tragedy or humdrum. That is no doubt why there are organizations that will help you send mail to soldiers. And organizations that help you send mail to prisoners. And organizations that help you send mail to Oprah. Hopefully one day there will be no more scattered families. But until then it would be nice if we could all talk to each other, no matter how poor the person or desperate the situation. 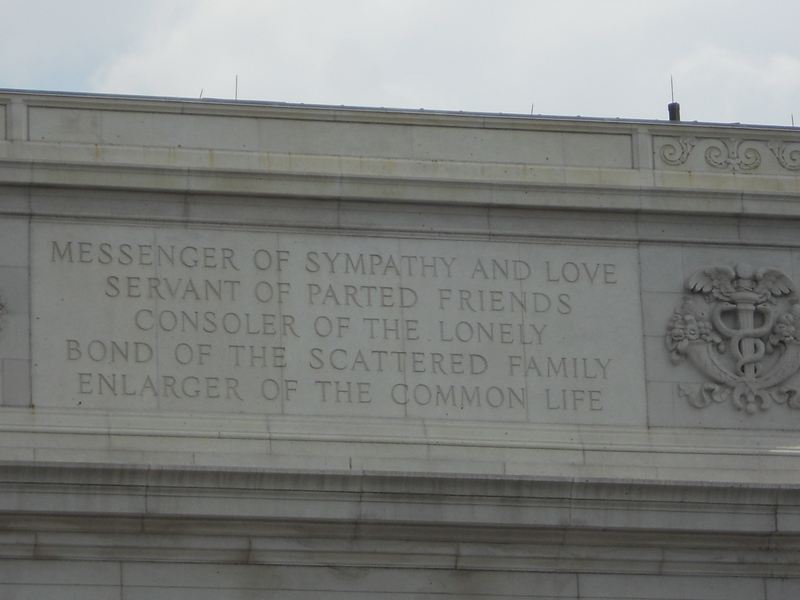 Thank you to all of you mail carriers who are part of the consolation of the lonely, and for your ancestors who traveled by horse for weeks to serve parted friends. We forget about you in our Facebook status updates. But we remember you in times of real trouble, when an e-mail just won’t cut it. Has mail ever lifted your spirits in a special way? Have you ever mailed someone you didn’t know in order to encourage them? And speaking of new-fashioned, follow us on Twitter @TheMarginalized. When I was in the Far East in the early 70’s my family took turns writing me so that someone wrote me every day. Those letters meant a lot to me. Sometimes I got several letters at once because we didn’t get mail where we were but the letters were always a reminder that the real world was still out there. Too bad it no longer is. There was no internet and no personal computers then and people had to take a little time to buy stamps, write a letter and mail it, so it was more of an intimate process than email. I sometimes write letters of encouragemant especially about something I’ve read. I will admit that I normally use email for that but sometimes I will write a letter from the office where the process is easier. The quote is excellent and “digs” into one’s soul a bit! Thanks for the reminder that letters are more than just “some correspondence”.